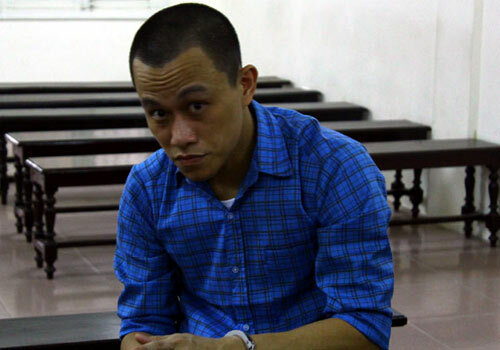 HA NOI (VNS) — A security guard was sentenced to 11 years in prison yesterday for stealing VND700 million (US$32,000) from an HD Bank branch. Nguyen Tuan Duong, 29, was also asked to pay back VND180 million ($8,000), which was the remaining part of the stolen money apart from the amount previously returned to HD Bank by his mother. Duong, a former security guard at the Ha Noi-based HCM City Securities Corporation that is located near an HD Bank branch in Hoan Kiem District, committed the crime on September 9 last year. When a bank employee went out for lunch, Duong used a pincer to unlock a cash safe at the bank and fled to the central province of Thanh Hoa with the money. Two days later, he transferred VND520 million ($24,000) to his mother Duong Thi Hoa, to return the amount to the bank after discovering that the police was hunting for him.